The BMW M4 is a high-performance version of the BMW 4 Series automobile developed by BMW’s motorsport division, the BMW M GmbH. 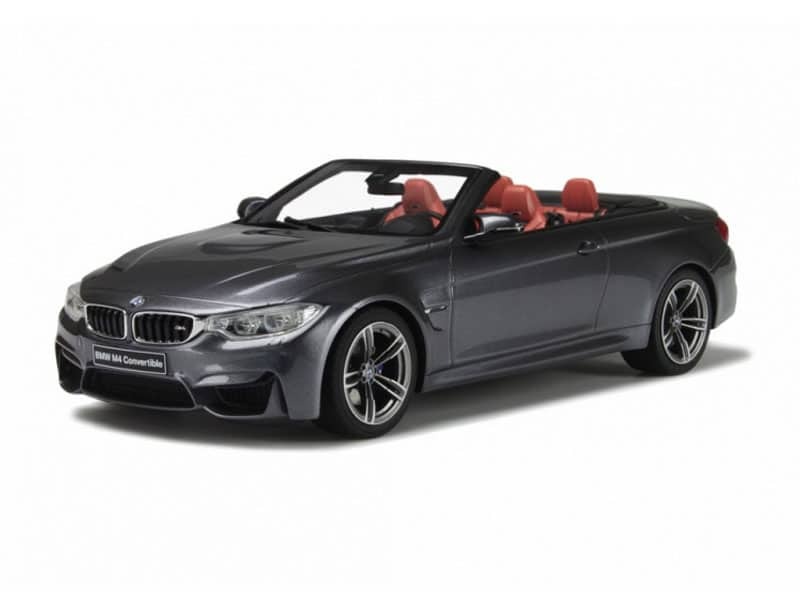 Part of the renumbering that splits the 3 Series coupe and convertible models to the 4 Series (to further differentiate it from the 3 Series), the M4 replaced the M3 Coupe and Convertible models. Upgrades over the standard BMW 4-Series include: a very powerful and responsive, twin turbocharged engine; improved handling, suspension, and braking systems; aerodynamic body enhancements; interior/exterior accents with the tri-colour “M” (Motorsport) badging; the significantly reduced weight compared to the standard 4 series and its predecessor with an all-new stiffer chassis and extensive use of carbon fiber, especially the roof of the car. 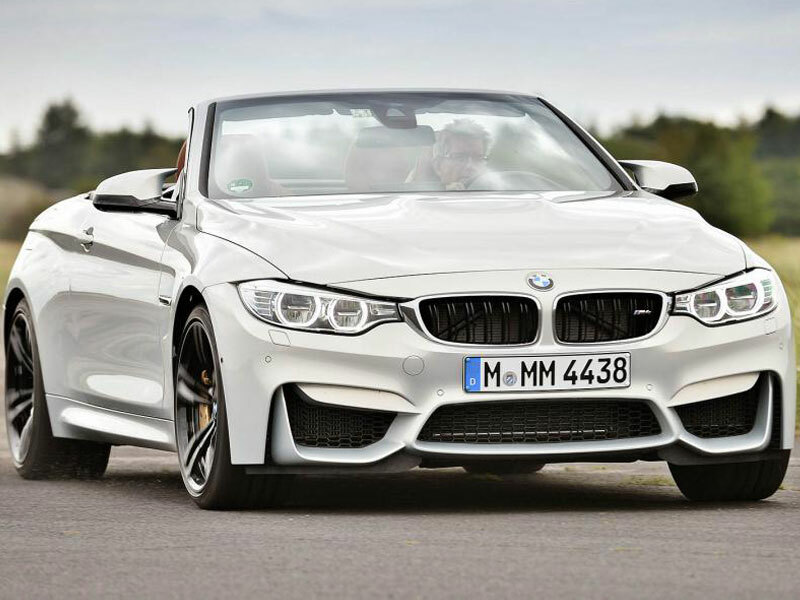 On September 25, 2013, BMW released technical specifications of the M4 powered by a M-tuned S55B30 engine. 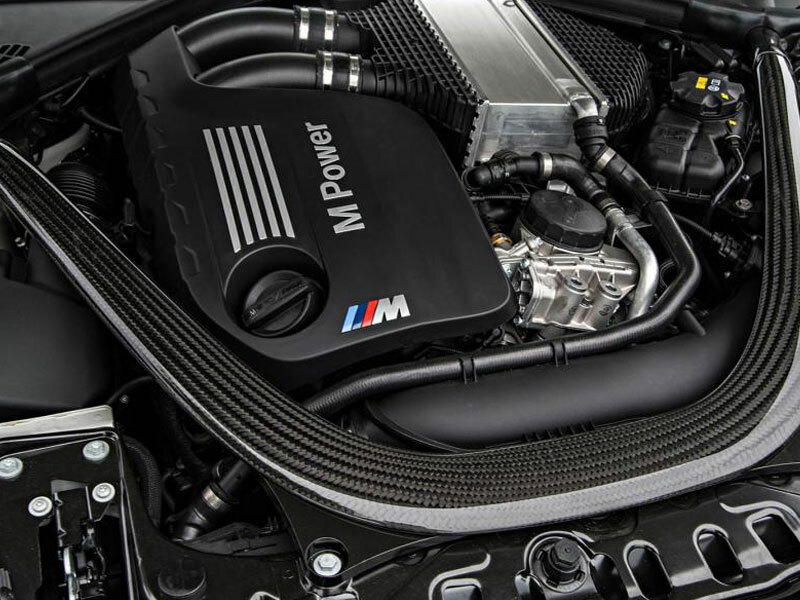 Although it is a 3.0 liter inline engine, BMW states that it is completely different to the N55 engine seen in other BMW 335i models and this engine has been built specifically for the new M4/M3, displacing 3.0 L (180 cu in) and redlining at 7,500 rpm. The rev limiter coming in at 7,600 rpm. The engine uses two mono-scroll turbochargers with boost peaking at 18.1 psi (1 bar). 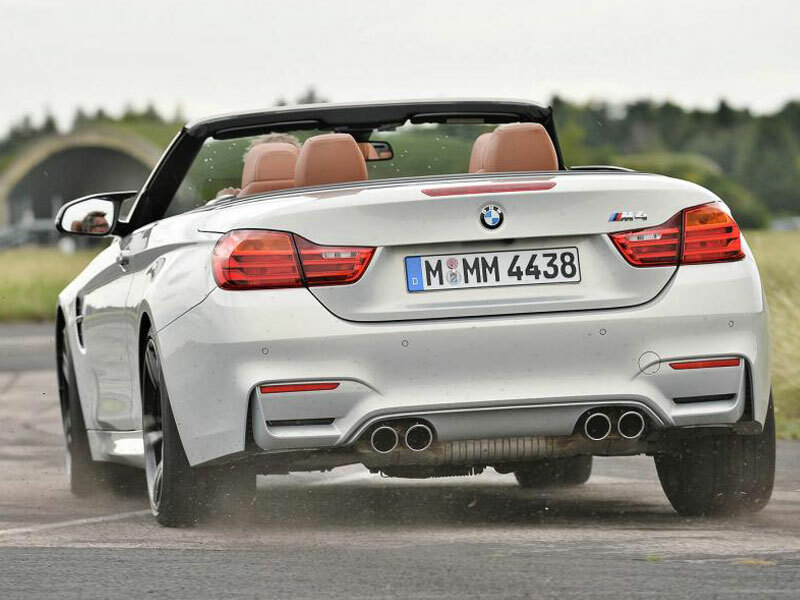 The power is rated at 425 hp (317 kW; 431 PS) while torque will be 550 N·m (410 lb·ft). 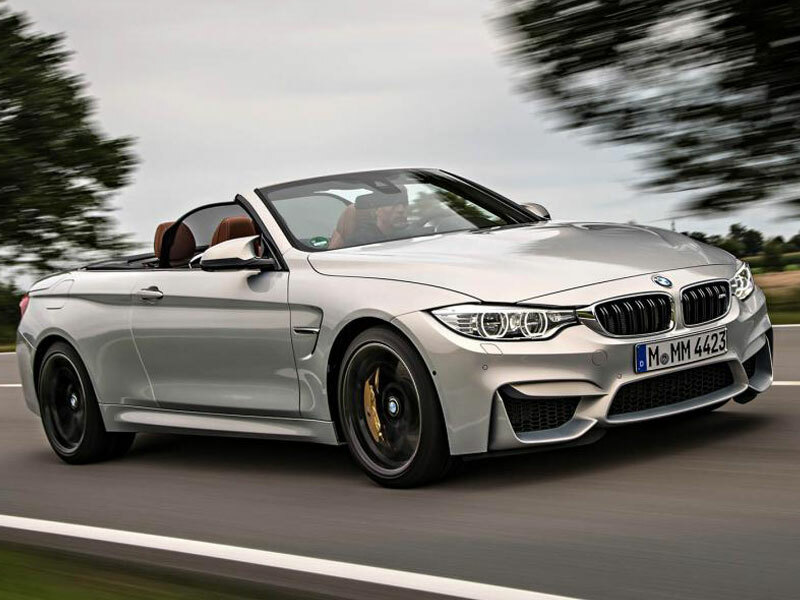 The weight of the 6 speed manual M4 is 1,572 kg (3,466 lb), with the M-DCT some 40 kg (88 lb) heavier, losing some 80 kg (176 lb) from the E92 BMW M3. Both 6-speed manual and 7-speed M-DCT transmissions are available. The 7-speed M-DCT transmission accelerates the car from 0 to 100 km/h (62 mph) in 4.1 seconds). The 6-speed manual transmission does 0 to 100 km/h (62 mph) in 4.3 seconds). Carbon fiber reinforced plastic is used extensively throughout the car, including drive shaft, roof, roof bow, trunk, and front strut brace. For the first time in the M vehicle, an electric power steering unit is being used. The steering system is specifically tuned for the M3 and M4. The 18 inches (460 mm) and 19 inches (480 mm) wheel options are available with lightweight forged alloys being standard. The M compound brakes come standard (in blue), while carbon ceramic brakes (in gold) are available as an option. The M4 features Active Sound. A live amplification of the engine’s natural sound was inducted into the passenger cabin via the speakers. BMW says this technology has been used so that the well insulated cabin can reduce road/wind noise but still provide the driver with the sporty sound of the M powered engine. There are no artificial sound or any pre-recorded track. 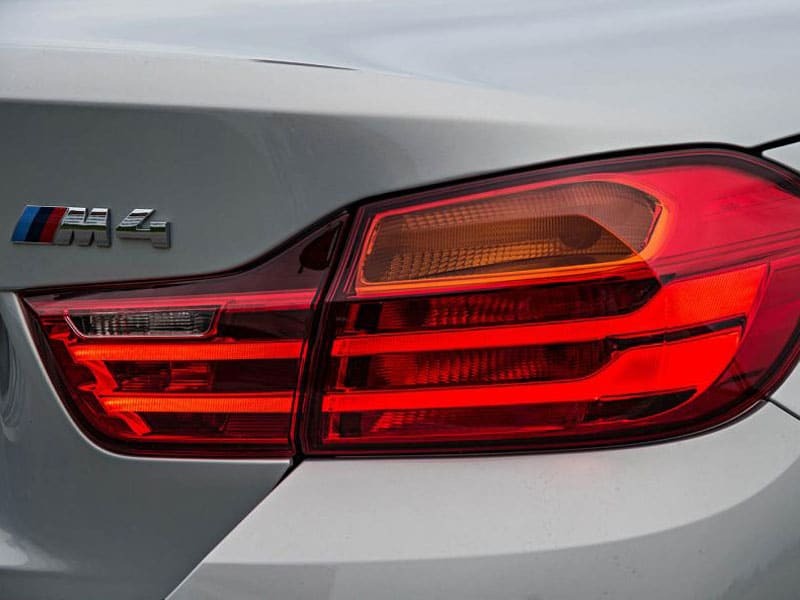 The M4 is based on the F32 4 Series however 50 percent of its components are unique compared to the 4 Series.